Revision before Exam for 10th class students. Home > > Education Revision before Exam for 10th class students. Last minute study tips, how to study in last minute in exam time, Before starting your revision while you are studying your subject mark them or underline the important points, so that it will be easy to revise at Last minute before exam. This is the time students are very conscious about there studies and it is a valuable time for the 10th standard student. Here are some tips for your revision time. Before starting your revision while you are studying your subject mark them or underline the important points, so that it will be easy to revise at Last minute before exam. Read the important things in your revision rather than re- reading whole syllabus. Just scan through the important points, headings, examples, diagrams, tables and charts. Dont waste your time and energy in keeping your efforts on the subject which you know better.Work on spellings, for one loses marks easily there. Concentrate on important questions marked by the teacher. Speak to friends who will NOT get you all worked up. Maths is the scoring subject, mathematics can be made easy with regular practice and reminding the formulae. Mathematics chapters are short, so read them thoroughly. Also read each solved example by this way you can review the entire syllabus. Go through the theorems, corollaries and formulae every day. Write the definition and practise writing the definition without mistakes make sure you have the definitions right. Perfect your knowledge of formulae in physics. In chemistry, knowing the molecular formulae is a necessity; remember the reactants and the resultants and balancing the equations. Read the actual chapter in your textbook, instead of only concentrating on guides and notes. Go through the poems; make sure you have understood hidden meanings. Solve at least three sentences of every grammar topic in the syllabus. Be thorough with the correct pattern of writing a letter or a report. Be smart in choosing the type of letter. Practise writting the formal letter For comprehensions, read the passage, then go over the questions and again read the passage -- you`ll locate the answers easily. Write the composition in the end. However go over the topics before starting the paper. 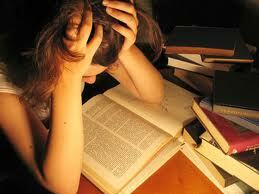 Then, you can think about the subject matter of the chosen topic while writing the remaining paper. Instead of studying geography, Refer to a map during your course of study, so you remember the answers better. Practice maps and diagrams, thoroughly. More over concentrate on civics, Economics and history. You have to read them before 2 months of your exam and read them with interest.